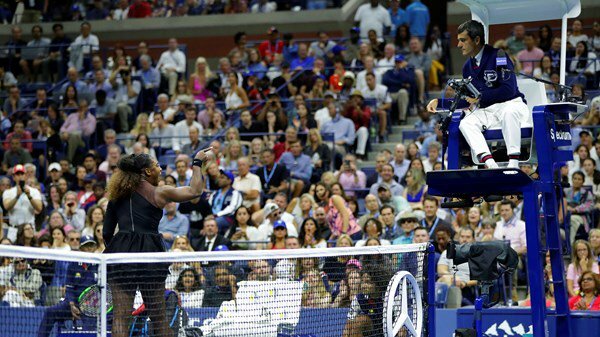 The US Open final umpire whom Serena Williams called "a thief" has been defended by tennis' governing body. She later said it was "sexist" to have been penalised a game. The International Tennis Federation said Carlos Ramos acted "at all times with professionalism and integrity". An ITF statement said: "It is understandable that this high-profile and regrettable incident should provoke debate. At the same time, it is important to remember that Mr Ramos undertook his duties as an official according to the relevant rule book. 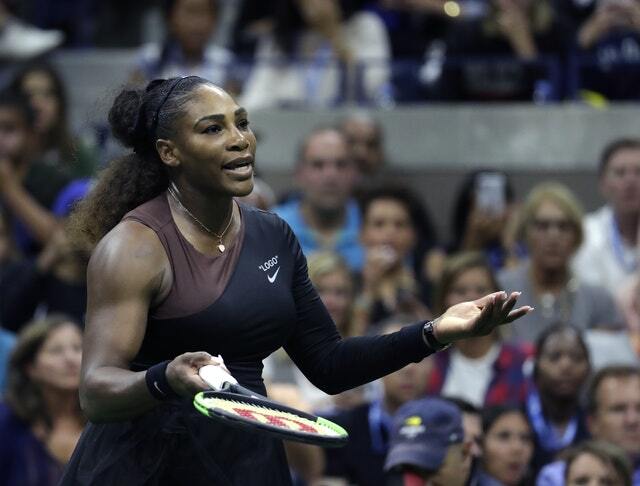 "Mr Ramos' decisions were in accordance with the relevant rules and were reaffirmed by the US Open's decision to fine Ms Williams for the three offences." However, Williams' claims have been backed by the governing body of women's tennis, the WTA. standards of tolerance provided to the emotions expressed by men versus women. Osaka, 20, won Saturday's match 6-2 6-4 to become the first Japanese Grand Slam champion. Williams, who was aiming to equal Margaret Court's record of 24 Grand Slam singles titles, refused to shake hands with umpire Ramos after the match. Her $17,000 (£13,100) fine for the code violations, imposed by the United States Tennis Association, will be deducted from the $1.85m (£1.42m) she won as the runner-up.